One of my best friends used to work in this cute little Italian deli that had numerous homemade Italian dishes. My three favorite things there was their gelato (which my friend kindly delivered to my door step while I was pregnant, becasue she’s awesome like that), eggplant parmesan, and their Italian stuffed artichokes. 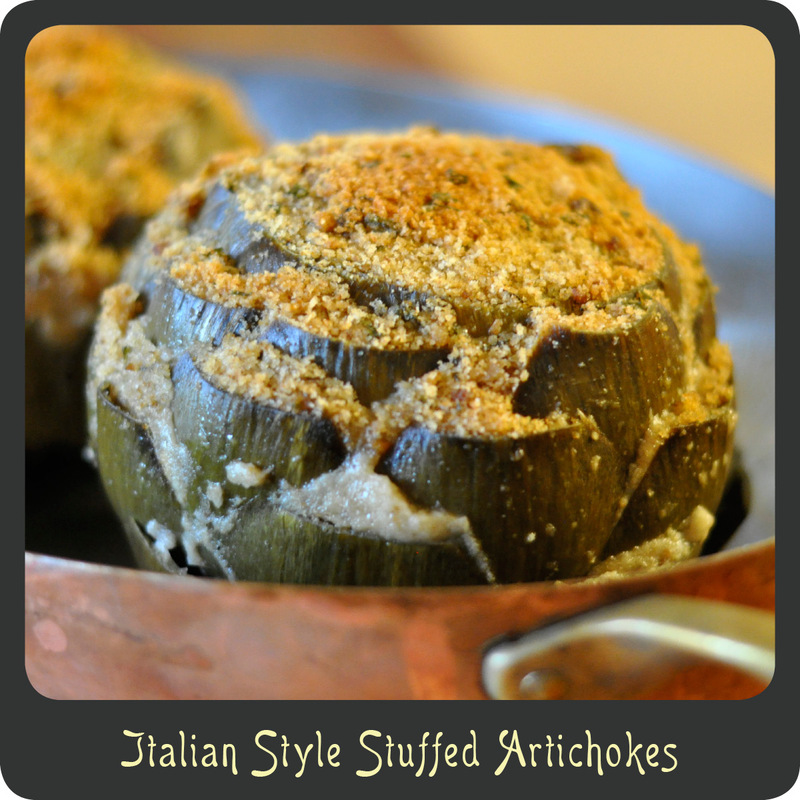 I LOVE their stuffed artichokes! They are a tad bit messy to eat but so delicious! When I eat artichokes I’m the type of gal that needs soemthing to dip the leaves in, whether it be mayonnaise, aioli, or garlic butter. However with these there is so much flavor in the bread crumbs that no dip is necessary. You just pull the bread crumbs off with the tender ends of the leaves. Heat the olive oil in a medium skillet. Add the garlic and sauté until fragrant. 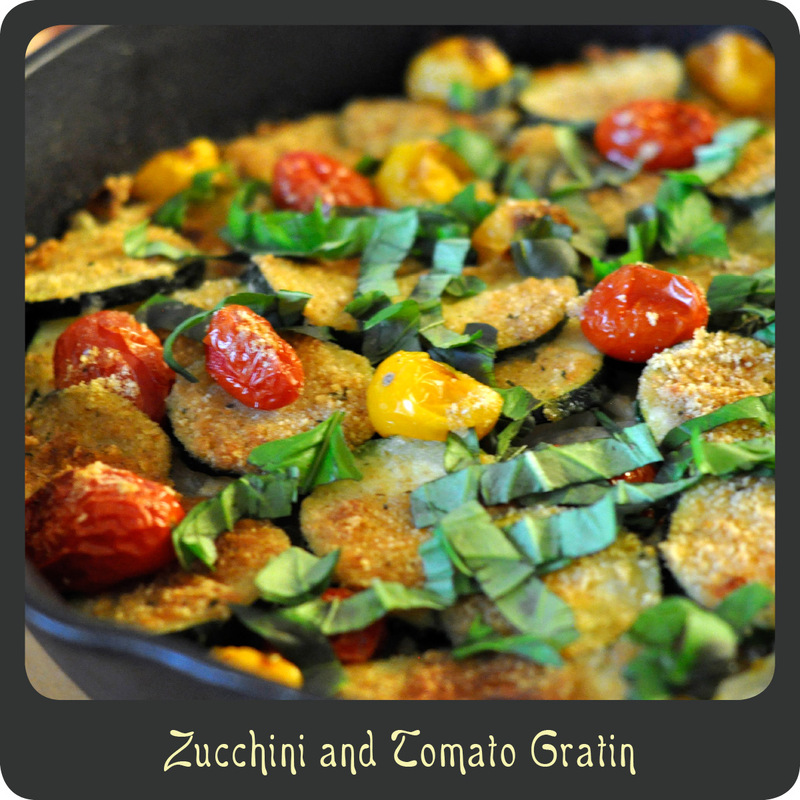 Remove the skillet form heat and stir in breadcrumbs and parmesan cheese. Season bread crumbs with salt and pepper. Using a pair of kitchen shear trim the pointy tips off of the leaves. Gently try to loosen up the dense center leaves by pressing them outward. Pull out some of the thin center leaves if you are able to, creating a small well in the middle. Stuff the prepared breadcrumbs in the center well and in between the large leaves. Place the stuffed artichokes in a baking dish. Once your water has come to a boil, carefully pour it into the baking dish so that the artichokes are sitting in 1” of water. Cover the entire baking dish tightly with foil. Bake in the over for 1 hour or until the leaves are cooked to desired tenderness.